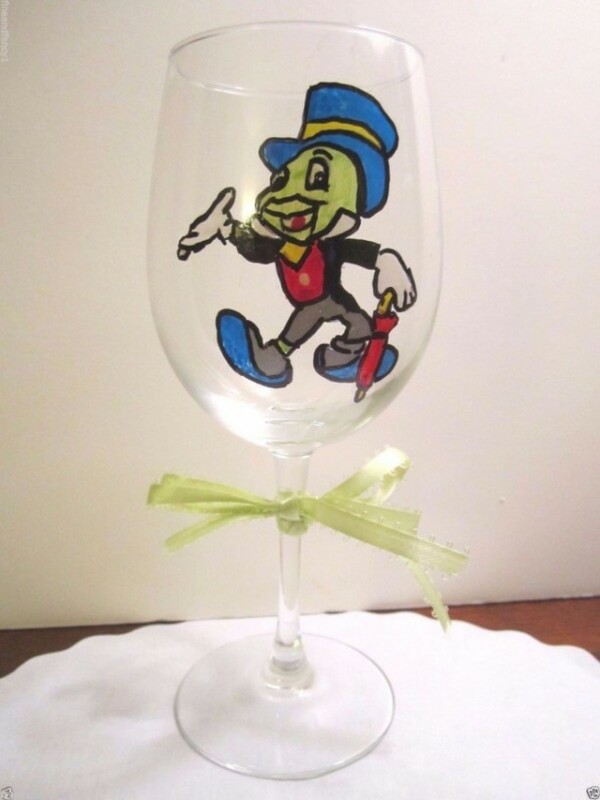 Hand Painted Wine Glass JIMINY CRICKET Walking with Umbrella 12 oz. Hand Painted Wine Glass JIMINY CRICKET Walking with Umbrella 12 oz. Jiminy is Green Wearing Blue Hat, Red Vest with Red Umbrella Measures approx: 7-1/2" High My Wine Glasses are all Hand Painted - there will be no 2 exactly alike. The harsh chemicals and high temperatures of a dishwasher can damage the paint. We recommend gentle hand washing.